Multiple Apple Stores in the United States have started price matching the iPhone 5c and the iPad Air, reports 9to5Mac. On those particular devices, some Apple Stores will match the prices of brick and mortar retailers that have been selling the products below retail price. Walmart, for example, sells the entry-level 16 GB iPad Air for $479, a $20 discount off of the standard retail price Apple offers. MacRumorsheard conflicting reports of Apple Stores price matching discounts over Black Friday, but following the major shopping holiday, it appears retail employees may have been given more flexibility when it comes to price matching options. 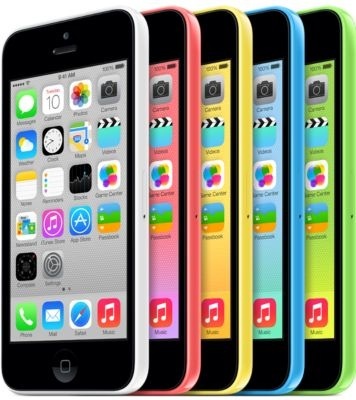 Released in September and October respectively, both the iPhone 5c and the iPad Air have been widely available since the launch, while supplies of the iPhone 5s and the Retina iPad mini have been far more constrained, which explains why Apple is not offering price matching on those particular products at this time. Apple’s price matching policies vary from store to store, and some stores may opt out of price matching all together. Price matching only applies to physical stores and is limited to a 10 percent total discount, which means customers can still find a better deal elsewhere in some cases, especially when it comes to the deep discounts offered on the iPhone 5c. Update: According to a retail employee, Apple now has an official policy on price matching, which allows specialists to price match iPhones, iPads, and Macs, giving up to 10 percent off on products without authorization. Specialists are also allowed to give business customers up to 20% off a non-Apple accessory when purchased with an Apple product via special order. Currently, the iPhone 5s and the Retina iPad mini are excluded from price matching. 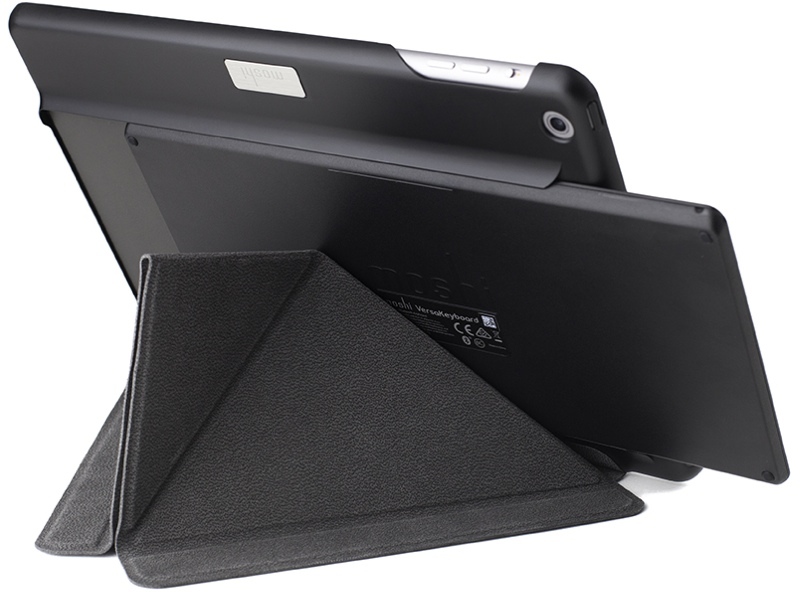 Accessory maker Moshi today debuted a new origami-style keyboard case designed for Apple’s iPad Air. The VersaKeyboard is a slim folding stand case that comes equipped with an ultrathin detachable Bluetooth keyboard. The case is designed to add full protection and minimal bulk to Apple’s thin and light iPad Air, weighing just 12.5 ounces and measuring 0.6 inches thick. It features a polycarbonate shell that includes a keyboard storage slot and a VersaCover that can be folded into several different viewing positions for both landscape and portrait use. Don’t bother bringing your laptop — VersaKeyboard combines an ultra-thin keyboard with our popular VersaCover to give you the ultimate in iPad productivity. The detachable Bluetooth keyboard can be positioned anywhere within 30 feet of your iPad for maximum typing flexibility. Optimized scissor keys ensure tactile responsiveness and swift iOS keyboard shortcuts. When not in use, the keyboard slides snugly into the rear polycarbonate case for easy storage. Like most cases, the VersaKeyboard supports automatic sleep/wake functionality, and the included Bluetooth keyboard offers 130 hours of battery life between charges. The keyboard is approximately 80 percent of the size of a standard keyboard. Some Retina iPad minis are demonstrating image retention issues, as noted by Instapaper creator Marco Arment, who originally developed a grid test to detect the problem in Retina MacBook Pros. Image retention was first cited as a potential issue last week, when a rumor suggestedthat burn-in on Sharp’s IGZO panels was causing production delays with the Retina mini’s display, leading to significant supply constraints that have resulted in a quiet release for the tablet. 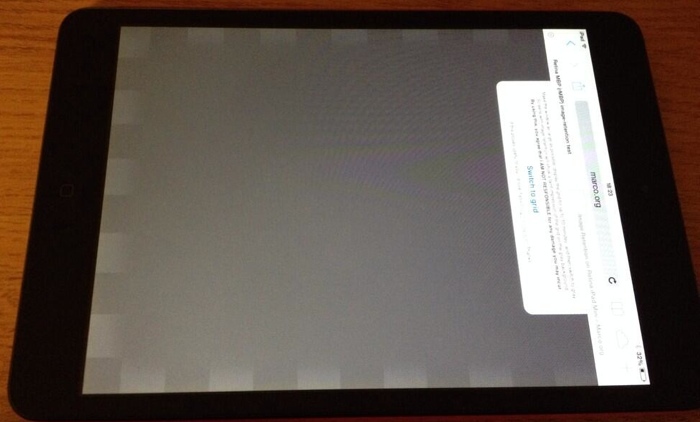 While it is unclear how many Retina iPad minis are affected by the issue, several miniowners on Twitter have discovered the problem after running the grid test. It is not known if the image retention is limited to displays from specific manufacturers, as many Retina iPad minis are not experiencing display problems. Displays with image retention are not a new problem for Apple. The original Retina MacBook Pro displays demonstrated severe image persistence problems, with remnants or previously-displayed windows remaining visible on the screen for several minutes. It is important to note, however, that the image retention is temporary and not permanent like the burn-in seen with some plasma displays. In normal use cases, it is unlikely that the image retention is noticeable, but Retina iPad mini owners experiencing image retention are still within their return windows. Apple has replaced Retina MacBook Pros experiencing display problems, and it is likely that a similar policy will be adopted for Retina iPad minis with image persistence. In addition to image retention, some users on the MacRumors forums have also noted that their Retina mini screens are not as vibrant as iPad Air, suggesting the Retina iPad mini may have a smaller color gamut. 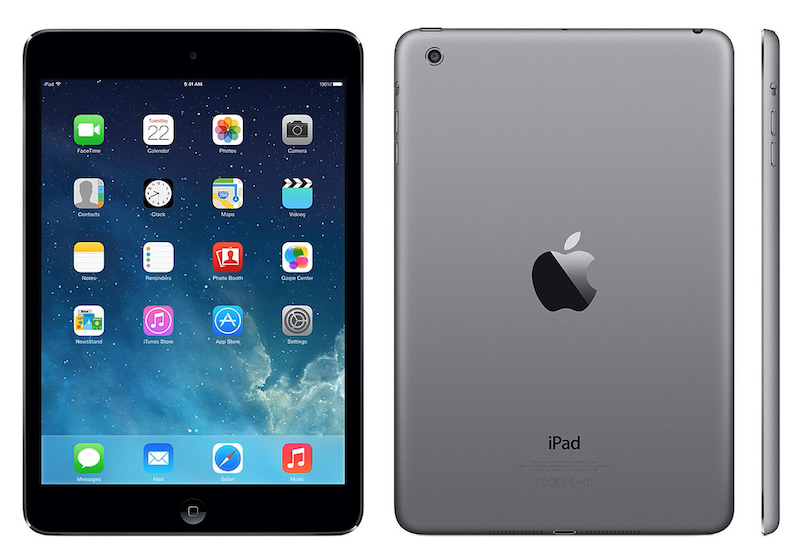 Apple’s Retina iPad mini is currently available from the Apple Online Store beginning at $399. Orders are currently shipping within 1 to 10 days in the United States depending on capacity and cellular capability, and while Apple has not made the mini widely available in its stores, it is also available in many areas via Personal Pickup. Apple’s new Retina iPad mini includes the same 64-bit A7 chip used in the iPad Air and the iPhone 5s, which offers significantly better performance than the A5 chip found in the original iPad mini. 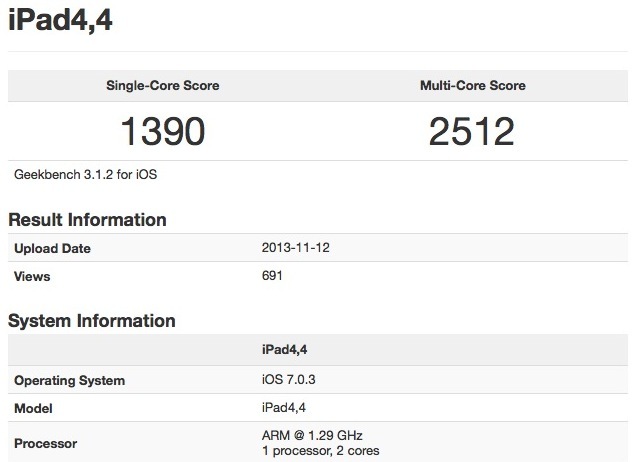 According to new Geekbench 3 benchmarks, the Retina iPad mini is running at 1.3Ghz, much like the iPhone 5s. The iPad Air, however, clocks in at 1.4Ghz, giving it a slight performance edge over both the iPhone 5s and the new mini. The Retina iPad mini scored a 1390 on the single-core test and a 2512 on the multi-core test, which was similar to the iPhone 5s score of 1399/2523, and lower than the iPad Air at 1466/2856. Compared to the 261/493 score of the original mini, the Retina iPad mini marks an incredible boost in performance speeds. It is unclear why the mini is clocked at 1.3Ghz instead of 1.4Ghz like the iPad Air, but in terms of real world usage, users are unlikely to notice the small speed differences. It is possible that Apple chose the lower clock speed in the iPad mini to improve overall battery life or to reduce heat within the smaller chassis. Apple’s Retina iPad mini went on sale last night at midnight and is currently still available from the Apple Online Store and in Apple retail locations via Personal Pickup. 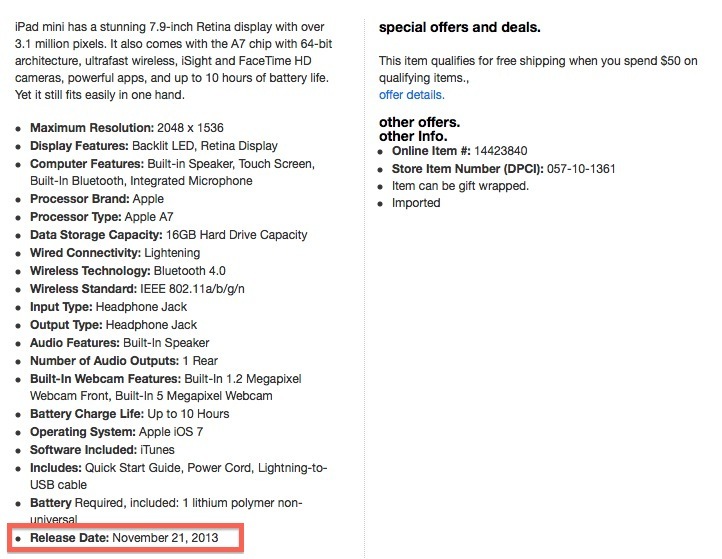 A product listing for the Retina iPad mini with a release date of November 21 hasappeared on Target.com, suggesting Apple’s new tablet could make its debut on the Thursday before Thanksgiving. Thus far, Apple has not provided a prospective release date for its iPad mini with Retina Display, offering up only broad November launch plans. While the November 21 launch date listed on the Target website could be a simple guess by the company, it is a logical release day for the tablet because it falls before Thanksgiving and more importantly, before Black Friday, which is a major shopping holiday in the United States. A late November launch also gives Apple an opportunity to focus its attention on the iPad Air for the majority of the month. It is unclear, however, why Apple would choose to launch the Retina mini on a Thursday, as product releases typically fall on a Friday. Apple’s Retina iPad mini, which includes an A7 processor and an upgraded rear camera, is said to be in very short supply. According to a recent report, stock of the Retina iPad mini will be “ridiculously tight” until early 2014. 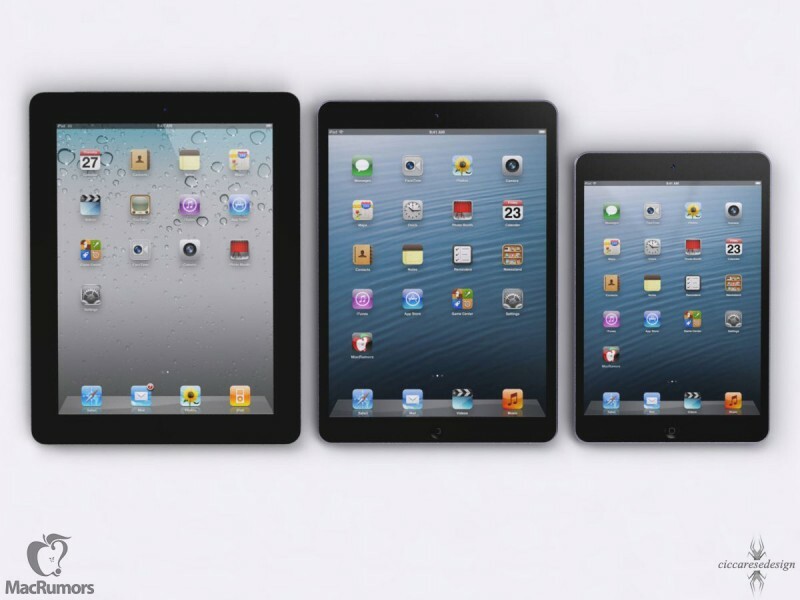 Though supplies of the Retina mini will be low, Apple is said to have a large quantity of iPad Airs available for purchase, which will likely alleviate some of the demand for the smaller tablet. Apple’s iPad Air will go on sale this Friday, with online orders beginning at 12:01 AM in the United States and at varying times in other countries. The new Space Gray version of the non-Retina Display iPad mini has begun appearing in Apple retail stores, according to 9to5Mac. The color change was announced alongside the the debut of the iPad mini with Retina Display at Apple’s media event on Tuesday. Although the new color is available in select Apple Stores, the tablet is reportedly not yet available in all of the retail stores. The model, which only comes with 16GB, has been available in Apple’s website since Tuesday, but it was previously unknown when it would appear in its retail locations. The new Space Gray color replaces the older iPad mini’s slate black color and starts at $299 for the Wi-Fi version and $429 for the Wi-Fi + Cellular variation. Microsoft’s corporate vice president of communications, Frank Shaw, today took to theOfficial Microsoft Blog to denounce both Apple’s revamped iWork software and the company’s well-received decision to distribute it as a free upgrade for existing users. “Seems like the RDF (Reality Distortion Field) typically generated by an Apple event has extended beyond Cupertino,” writes Shaw, before launching into a long-winded rant that positions the Surface and the Surface 2 as better productivity devices, insinuating that Apple doesn’t understand productivity. That’s what Surface is. A single, simple, affordable device that helps you both lean in and kick back. Let’s be clear – helping folks kill time on a tablet is relatively easy. Give them books, music, videos and games, and they’ll figure out the rest. Pretty much all tablets do that. But helping people be productive on a tablet is a little trickier. It takes an understanding of how people actually work, how they get things done, and how to best support the way they do things already. – The Surface and Surface 2 are less expensive than the iPad 2 and iPad Air respectively, and yet offer more storage, both onboard and in the cloud. – … come with full versions of Office 2013, including Outlook, not non-standard, non-cross-platform, imitation apps that can’t share docs with the rest of the world. – … offer additional native productivity enhancing capabilities like kickstands, USB ports, SD card slots and multiple keyboard options. – … include interfaces for opening multiple windows, either side by side or layered to fit the way most people actually work. Shaw’s anti-iWork comments follow Apple’s own jabs at Microsoft, where Tim Cook took to the stage to question Apple’s competitors. Over the course of 2013, Microsoft has unsuccessfully attempted to position its Surface tablets as ideal productivity tools, continually highlighting the iPad’s inability to run multiple apps at once, its lack of accessories, its high price, and of course, its less popular productivity software. Following a series of price cuts, Microsoft revealed that its Surface lineup had earned just $853 million for the company, less than the $900 million writedown the company took for the Surface RT. Nevertheless, Microsoft forged ahead to release a second Surface tablet, announcing the Surface 2 and Surface 2 Pro in September. Apple will introduce a high resolution Retina iPad mini and a thinner, lighter version of the standard 9.7-inch iPad during its Tuesday event, reports The Wall Street Journal, confirming months of product leaks and rumors. While a fifth-generation iPad with thinner side bezels and an overall smaller size has been widely expected, the release of the Retina iPad mini has been less certain, givenmultiple reports in the last few weeks suggesting serious supply chain issues. It was unclear whether the Retina iPad mini would be ready for Tuesday’s announcements, but in addition to The Wall Street Journal, two reliable sources, KGI Securities analyst Ming-Chi Kuo and AllThingsD, have also indicated that the Retina iPad mini will make its debut on October 22. Alongside a Retina screen, the iPad mini is expected to include an A7 processor, while the full-sized iPad will offer an A7X processor. Both iPads will include upgraded cameras, and could also offer Apple’s new M7 motion tracking chip. AllThingsD has also indicated that Haswell MacBook Pros will be unveiled during the event. Aside from the iPads and the Haswell MacBook Pros, Apple is expected to announce a number of other hardware and software products, including Mavericks, revampedversions of iLife and iWork for both Mac and iOS, the redesigned Mac Pro, and possibly a new display to go with it. A minor update to the Apple TV may also be included, and it’s possible that the Mac mini could be updated as well.